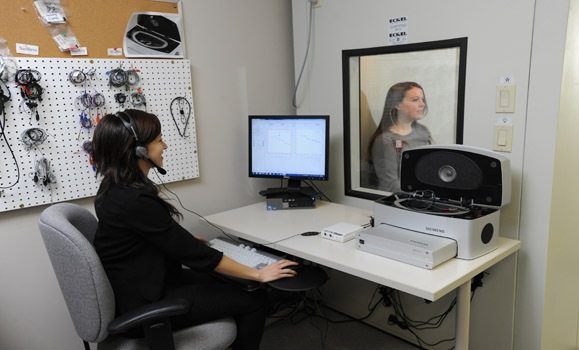 The audiology program at Dalhousie University involves three years of full-time study allotted to course work, clinical practica, and a research project or thesis. The program leads to a Master of Science (MSc) degree. Upon completion of the program, students meet the requirements for application for certification by Speech-Language & Audiology Canada (SAC) and for licensure in any of the provinces with government regulation of audiology. Audiologists are health care professionals concerned with the diagnosis, assessment, rehabilitation, and prevention of hearing loss and balance disorders. Audiologists often work in collaboration with otolaryngologists, family physicians, nurses, teachers, social workers, psychologists, speech-language pathologists, and other audiologists. 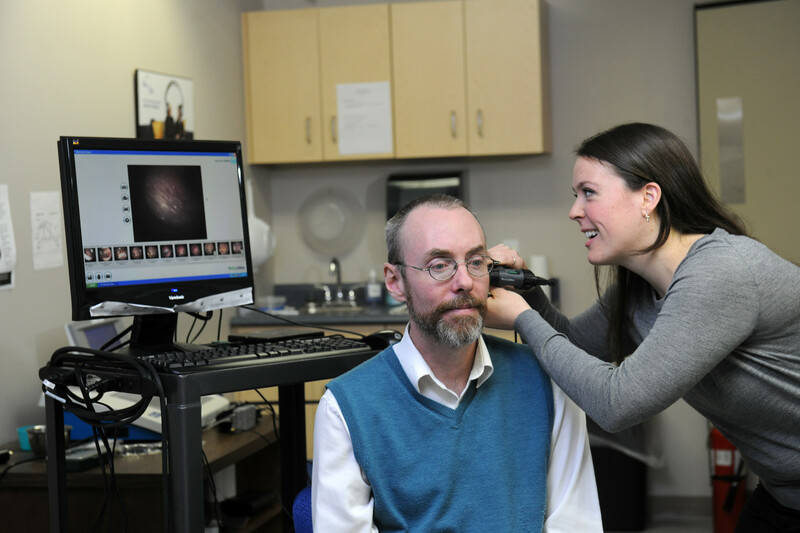 Audiologists work in a variety of environments, including hospitals, community health centres, private clinics, schools, hearing aid manufacturers, and universities. From a total of 200 professions and jobs, CareerCast.com (2014) ranked Audiologist in the top 10, based on job prospects and income. Chances of employment are enhanced by the willingness of the candidate to relocate. Go the Links page to obtain more information on hearing science and disorders and on the profession of audiology. Practicum refers to the development of skills through: the application of academic concepts to the clinical setting, observation of clinical activities, participation in simulated activities, and participation in client care through practicum placements. Students move through these activities in incremental steps, eventually achieving greater responsibility for the care of clients. First-year audiology students observe clinical activities at the school's in-house audiology clinic. They also participate in a speech-language and hearing screening program of pre-school children at community pre-schools and other facilities. During second year, audiology students participate in the school’s in-house clinic, known as Sheltered Practicum. Also during this year, students participate in an Observation Practicum, which involves a series of observations of activities such as pediatric assessments, evaluations of clients with auditory processing disorders, ENT surgery, evoked potential testing, hearing aid fitting and others. During the summer of the second year, students are assigned to facilities on a full-time basis for 12 weeks within the Atlantic Provinces. In the final externship placement, in the winter term of third year, students are often placed outside of the Halifax area. Students may be placed in sites across Canada and within the United States. Placements outside of Canada will be considered if appropriate clinical supervision is available. To pursue studies in our Master's programs in Audiology, visit the Admissions section of our website.